Abbot Adam: None (2015) is the second piece in the Abbot Adam Cycle, a series of works using the lens of medieval monasticism to examine ideas about purity, devotion, community, desire, and control. Loosely inspired by the Liturgy of the Hours, a system of Christian prayer that was used to structure life in certain medieval monastic communities, each piece in the series will have a radically different form. 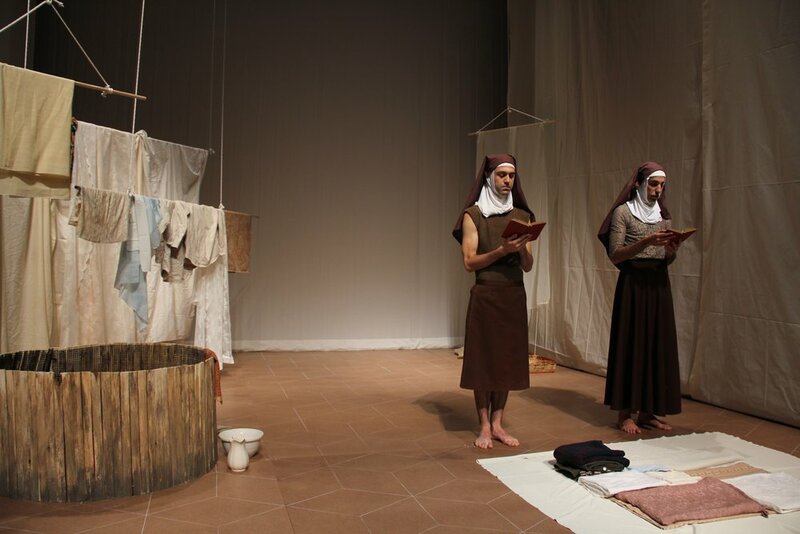 None is a performance about labor, leisure, and despair in monastic life. Named after a short prayer that marks the end of the workday, the piece explores the delicate interplay between speech and silence, between action and stillness, and between joy and sadness. 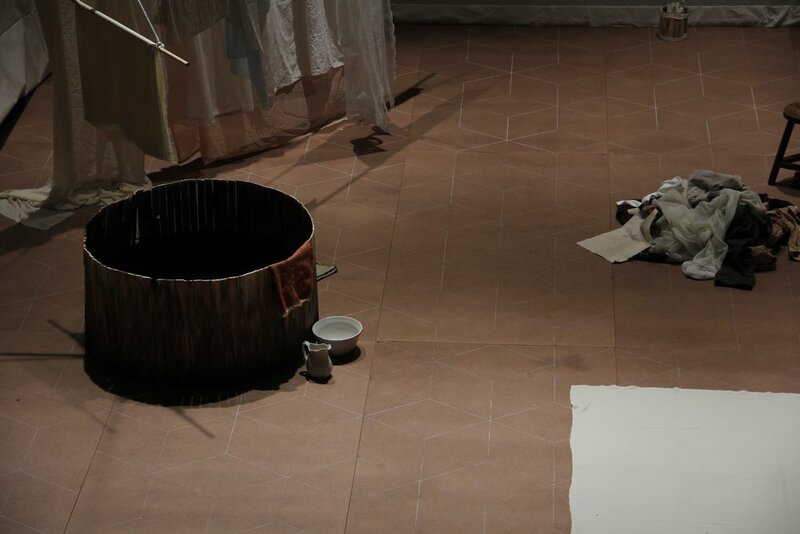 What begins as a placid mini-play set in a laundry room gives way to an abstracted exploration of melancholy and existential dread in the wake of waning faith. Abbot Adam: None premiered December 10 - 12, 2015 at FringeArts, Philadelphia, PA.